Hotel Travel Express is committed to respecting your privacy. We have designed our websites and booking engines so that you may visit them without identifying yourself or revealing any personal information, unless you opt to do so. Once you opt to provide personally identifiable information (any information by which you can be identified such as name, address, telephone number, e-mail address and credit card number), it will only be used to support your customer relationship with us and for our own internal purposes, including marketing and research, customization of our websites and improving the content of our websites. Some of Hotel Travel Express's online booking engines are powered by third-party vendors. You should note that these vendors may have privacy policies and practices that differ from those of Hotel Travel Express. We strongly encourage you to read the privacy policies of these vendors when using their websites. Hotel Travel Express provides electronic postcards cards via our websites and our affiliate websites for you to send to a friend. We store the e-mail address of all recipients, the message you want to send and the URL for locating the greeting card. We do not sell, distribute, or license in anyway the use of recipient e-mail addresses. We use them solely for the purposes of notifying recipients on your behalf that a card is waiting for them at the designated URL. After 30 days, all information pertaining to your postcard is deleted. Hotel Travel Express will not sell, rent, or lease your personally identifiable information to third parties. Unless we have your permission or are required by law, we will only share the personal data you provide online with other third-party vendors that are acting to complete reservation services. We do not knowingly permit the site to be used by any person under the age of eighteen and we do not knowingly collect any personal information from children (meaning those younger than thirteen years of age). We will cooperate with law enforcement authorities. 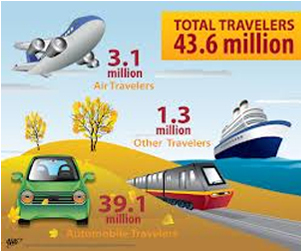 Hotel Travel Express strives to keep your personally identifiable information accurate. We make every effort to provide you with online access to your registration data so that you may update or correct your information. To protect your privacy and security, we will also take reasonable steps to verify your identity before granting you access or enabling you to make corrections to your user account. Hotel Travel Express is committed to protecting the security of your information. To prevent unauthorized access, maintain data accuracy, and ensure the appropriate use of information, we have put in place physical, electronic, and managerial procedures to safeguard and secure the information we collect online. We use encryption when collecting or transferring sensitive data such as credit card information to our shop safe guarantee.